The Mall of Cyprus 10th Birthday Scratch & Win Campaign! The Mall of Cyprus opened its doors on 27 September 2007, and in the last 10 years it has become the place-to-be for shopping, relaxation, and entertainment. 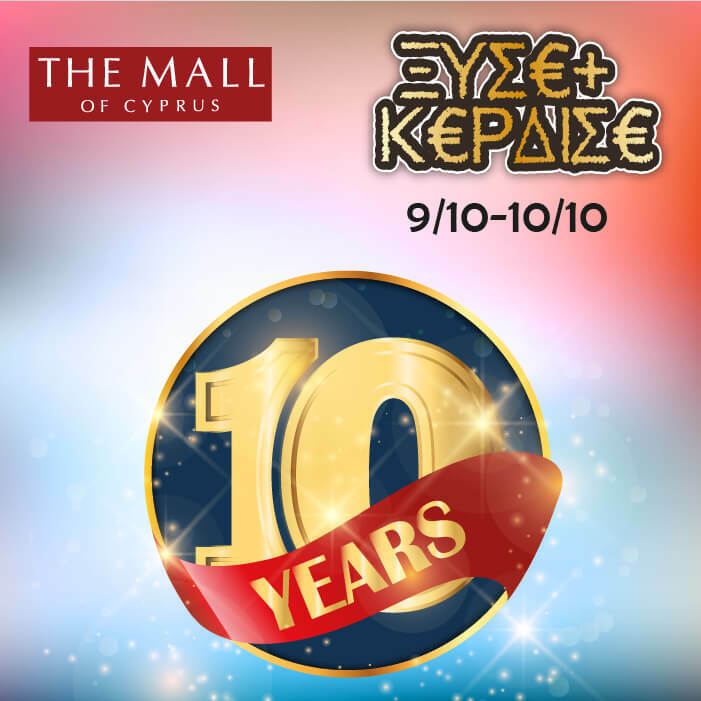 For our 10-year celebrations, The Mall of Cyprus is offering its visitors prizes worth 5000 euros! Receipts from all the shops, cafeterias and restaurants are accepted!